We at You Want What? Productions INC are pleased to announce two additions to our modular rental backdrop inventory. 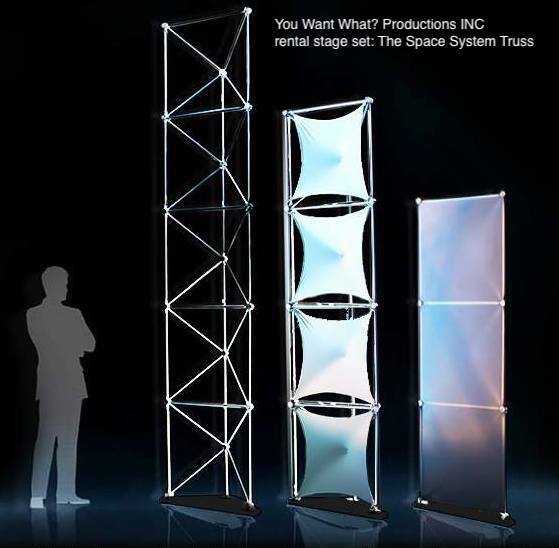 The CyTower and The Space System Truss were acquired from the closing Concept Design Productions, a pioneer in modular scenery. 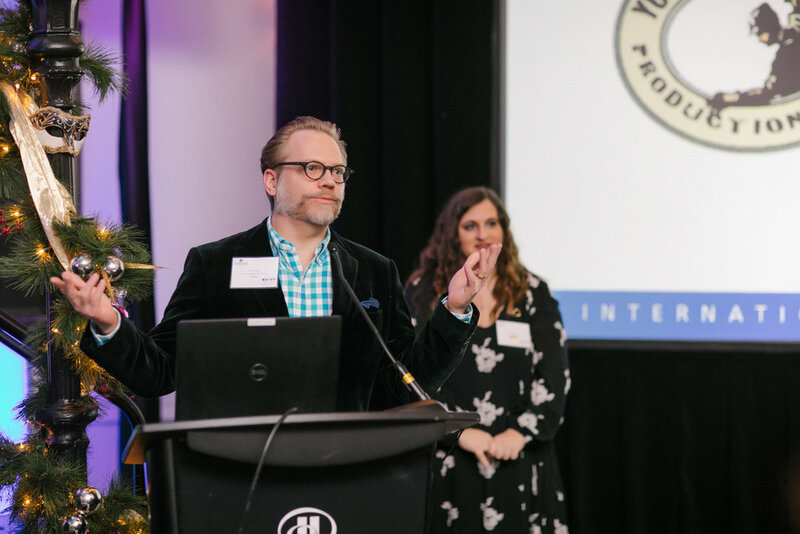 They fit nicely into our existing offerings and add new textures to the range of stylish stage set design we offer for meetings and events. With its gently curved aluminum frames and frosted acrylic panels, The CyTower creates elegant lines and dramatic lighting opportunities. And The Space System’s 3D “space frame” truss creates an angular texture and bold highlight on your stage. These systems can stand alone, blend with each other, or with any of our other components to create a design that’s unique to your show, yet affordably composed of modular rentals. Click to learn more about The CyTower and The Space System Truss, submit an RFP or contact us for a free custom render and quote for your next event.